The 2017-2018 program offerings will include a youth orchestra, youth choirs, a Suzuki program, and a community orchestra. Oklahoma State University will open a brand new Community Music School in August. The 2017-2018 program offerings will include a youth orchestra, youth choirs, a Suzuki program, and a community orchestra. With programs that target almost every age group, the OSU Community Music School will have offerings for everyone. Students that are between the ages of 4-8 are encouraged to apply for the Suzuki program. 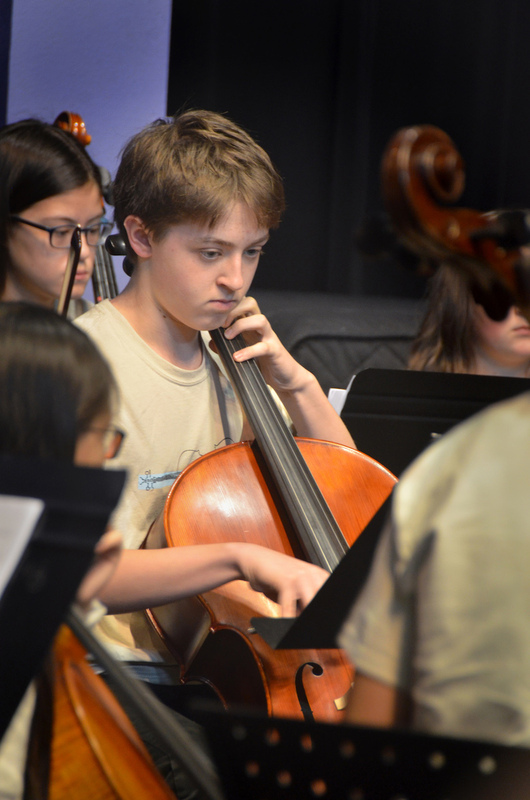 The Suzuki program embraces a nurturing environment in which the students, teachers, and parents all work together. Just as children learn to speak through listening, imitation, and repetition, we believe that all children have the ability to learn the musical language. The OSU Youth Orchestra (OSUYO) is a full symphony orchestra consisting of mostly high school students in string, woodwind, brass, and percussion sections. Repertoire includes many standard masterworks expertly arranged for educational ensembles, as well as original compositions and contemporary works. The OSUYO is conducted by OSU’s Director of Orchestral Studies, Dr. Thomas Dickey, and rehearses on Tuesday evenings from 6:00 to 7:30 PM. The OSU Youth Choirs provide young people the opportunity to sing quality choral music representing a variety of styles, eras, and cultures. Singers will expand their vocal development, enhance their musicianship skills, and experience a variety of traditional and contemporary repertoire appropriate for their age and vocal maturity. This program is open to students in grades 3-12. The OSUYC is conducted by OSU’s Julia Haley and rehearses on Tuesday evenings from 5:00 – 6:00 p.m. The Stillwater Community Orchestra (SCO) is a non-auditioned ensemble for adults of any age who play a string instrument. The SCO was founded in 2012 to give non- professional musicians an outlet for ensemble performance. The orchestra presents two or more free concerts per year and often collaborates with other ensembles in the Stillwater community. The SCO is conducted by OSU’s Director of Orchestral Studies, Dr. Thomas Dickey, and rehearses on Monday evenings from 7:00 to 8:30 PM at Salem Lutheran Church. To read more and register for any of these programs visit: communitymusic.okstate.edu. For questions, contact the CMS director, Meredith Blecha-Wells at (405) 744-8996.